Typerie is for lovers and practicers of type. Our online resources, tutorials and information talk to beginners and pros and are here to bring our type community together. Typerie offer custom typography and design. 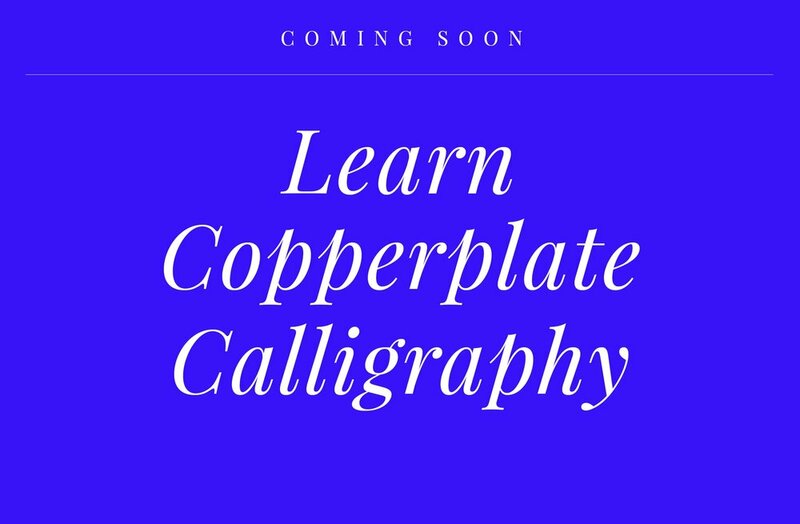 Courses, tutorials & freebies for calligraphers, letterers and lovers of type. Your lettering journey begins here! Our courses and workbooks are intended for absolute beginners or those who have tried a bit of lettering are are looking to improve and perfect their letter forms. We begin by understanding the letter breakdown, then trace letters and move to writing freehand. Upon completing, you will have perfected basic strokes, warm-up drills and every letter in an uppercase and lowercase modern form! These days, modern calligraphy is an extremely sought after skill. You'll be able to create your own calligraphy art pieces ready to frame, cards, gifts and perhaps even put your new found skills to commercial use. Expand away from traditional calligraphy styles to find and embrace your own modern style. Thank you for signing up to Typerie! Keep an eye out for emails shortly arriving in your inbox. © Copyright Typerie 2016. All rights reserved.